Can you believe it is nearly Spring? Everything is starting to come to life after laying dormant for the Winter months. 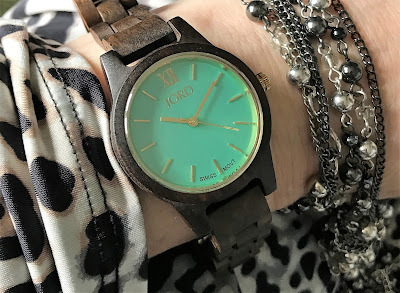 It is time of year to revamp your wardrobes and a lovely way to add something special to any outfit is to choose a ladies wooden watch from Jord. Jord create wooden watches from sandalwood, maple, bamboo and other varieties of wood which add style and class to any outfit. 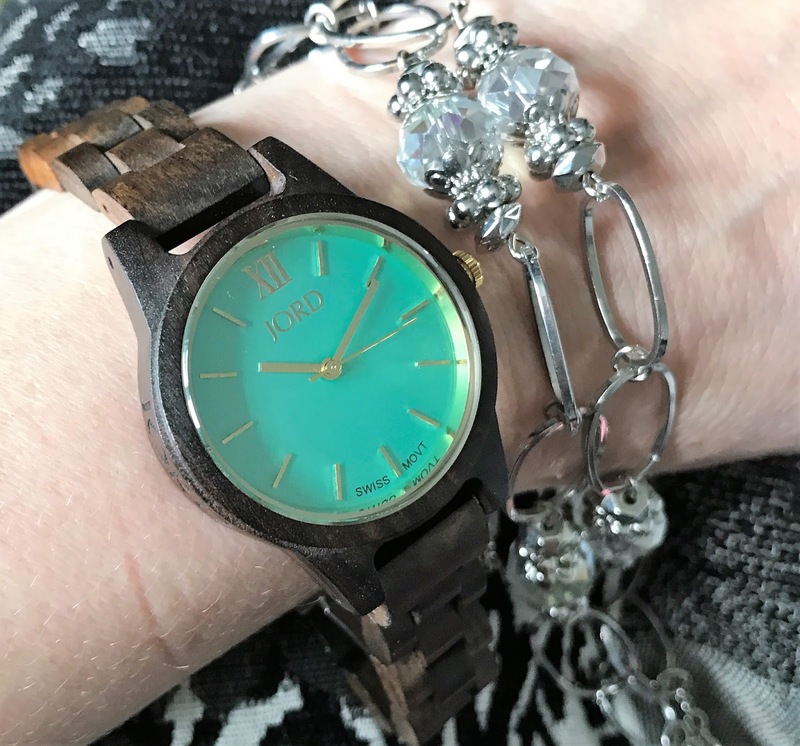 I was sent the beautiful Frankie35 watch made from Sandalwood with a cool mint dial and sapphire crystal glass. It features a slimline face and swiss movement displaying hours, minutes and seconds. The watch comes uniquely presented in a natural wooden box that is beautiful in its own right. When you receive your watch you are also supplied with a small bottle of natural finishing oil and cloth to ensure your watch stays in tip top condition. 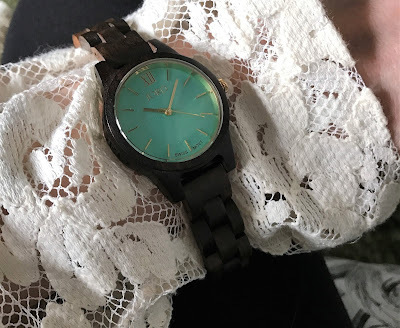 Teamed with lace the watch is elegant and perfect for the Spring months and is so comfortable to wear. It is surprisingly light and can take you from a hard day at the office to jazzing up an outfit for a night of fun. I love my Jord watch it is the perfect accessory for any outfit and will take you through all the seasons of the year, adding glamour and uniqueness to whatever outfit you are wearing. 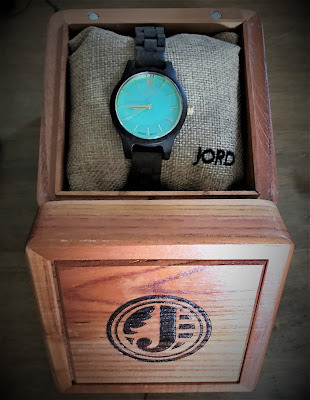 Luxury Wooden Watch by simply filling the details in on the Jord website. What could be more simple. 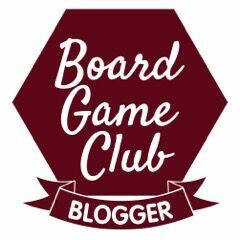 The competition is open until the 2nd April 2017 and if you are lucky enough to win the voucher will expire on the 30th June 2017. I was sent this item free of charge for the purpose of this post but I had to pay a customs charge before delivery from Royal Mail.